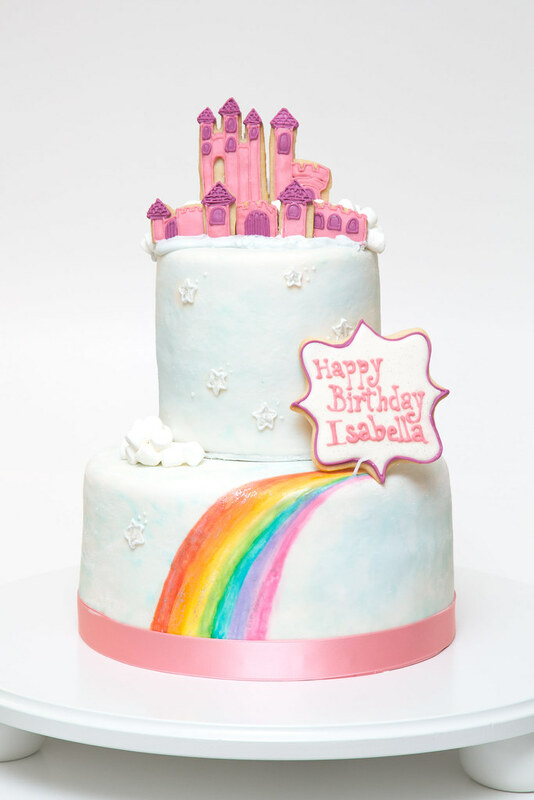 Rainbow Magic Fairy Cake for Isabella's Birthday! 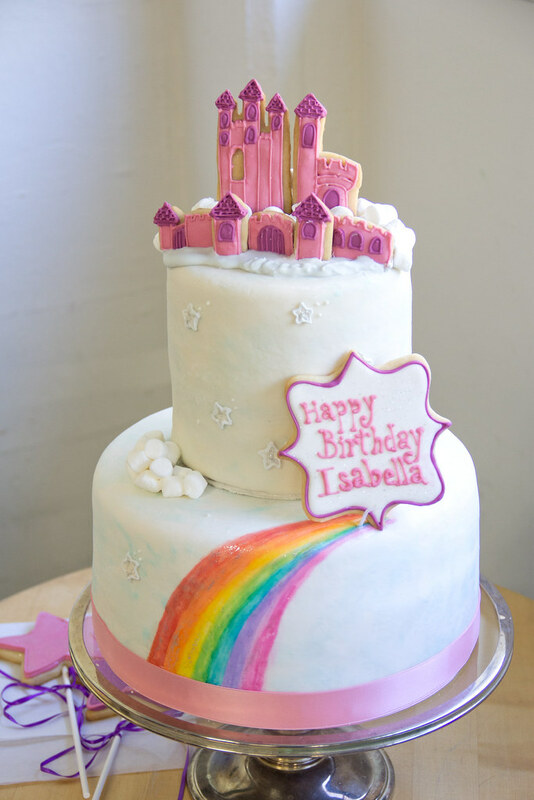 I did a Rainbow Magic Fairy Cake or Isabella's Birthday Party. 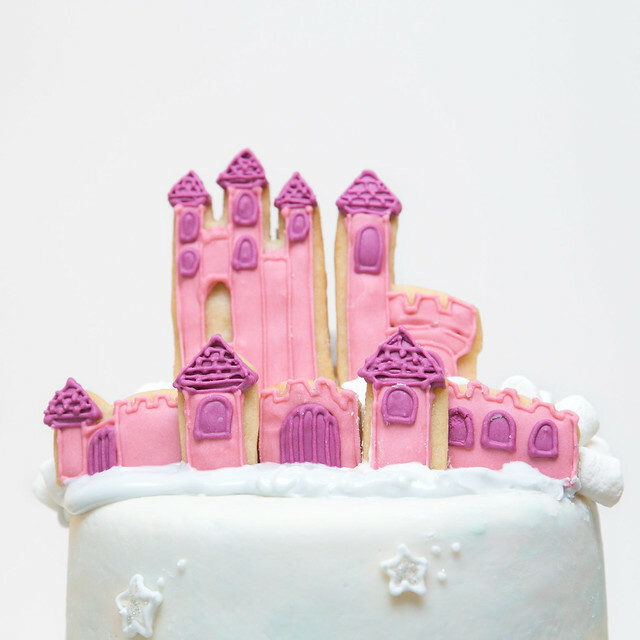 I made the castle cake topper and happy birthday plaque out of cookies. I threw in some fluffy clouds made out of mini marshmallow. 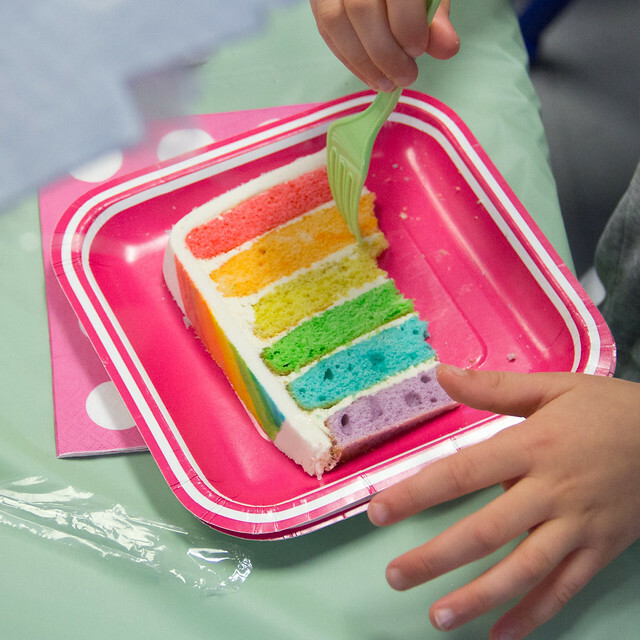 The fondant was painted with light blue sky background and a big rainbow, and then I piped on a few stars with royal icing. 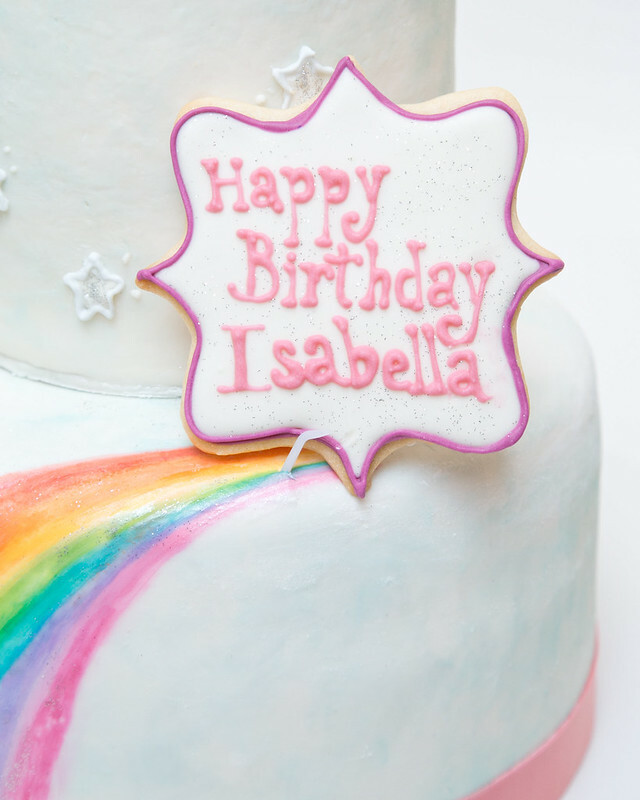 I added edible sparkly glitter to the stars and rainbow. This was a pretty big cake, with 6" and 10" round tiers. They are both ~5" tall, mostly because of the 6 layers of cake inside... Why 6 layers you ask??? I'll tell you later. 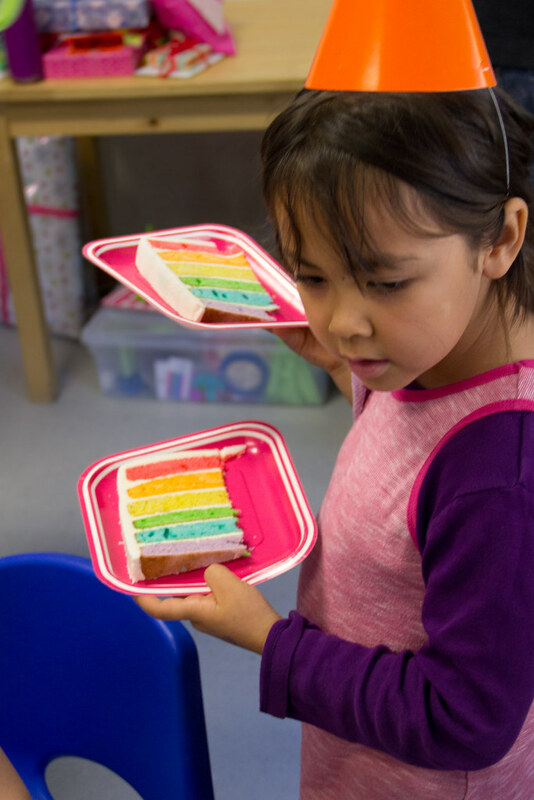 Let's just get a closer look at this cake first. Mark, Vale, Oscar, and Lucy were going to the birthday party, so they did Maria the favor of delivering the cake and did me the favor of driving oh so carefully. Thank you, Mark! Also, Vale also brought her camera and took some pictures. Yay! 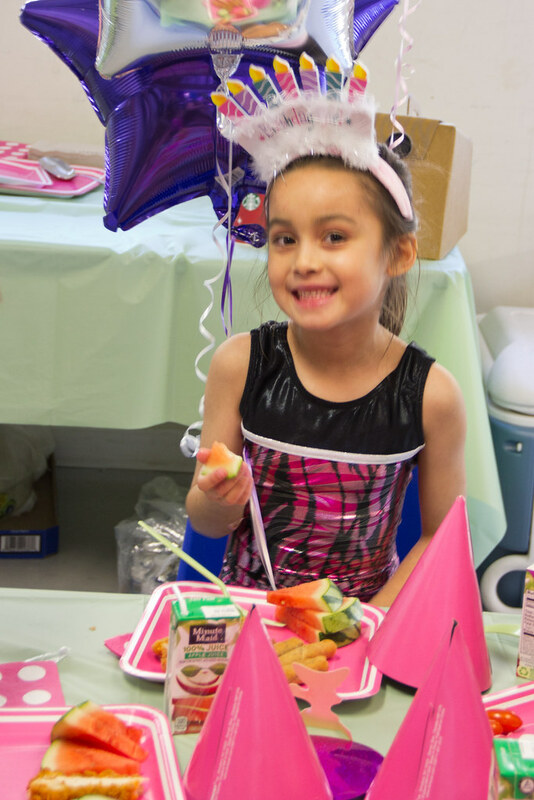 They rest of these photos are taken by Vale at Isabella's Gymnastics Party! 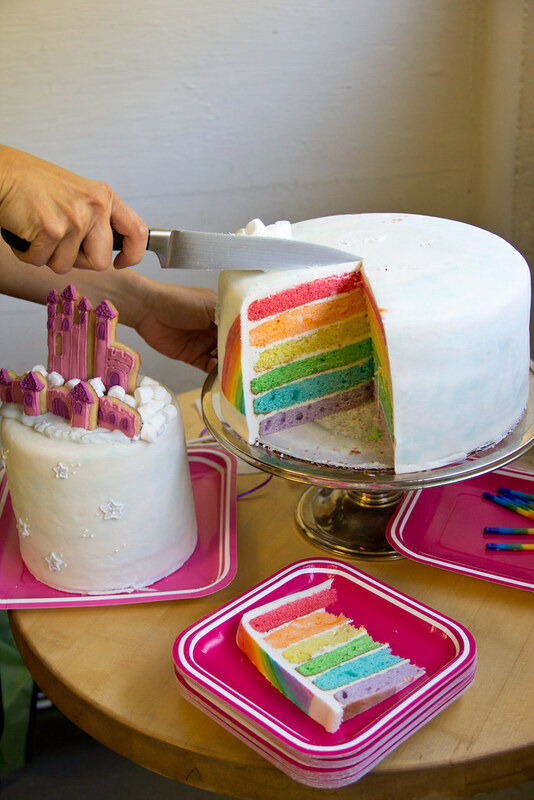 Thanks to Vale, I can now tell you why this is a 6-layer cake, too. TA-DA!!! Magic.